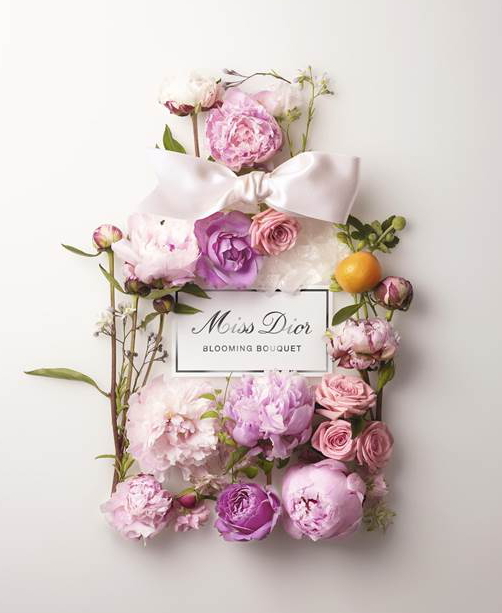 I wanted to dedicate one post to Dior’s new fragrance, “Miss Dior – Blooming Bouquet”, which I received as a gift from a lovely friend not so long ago. Since then it became my new favourite perfume and don’t leave my house without it…I immediately fell in love with it! 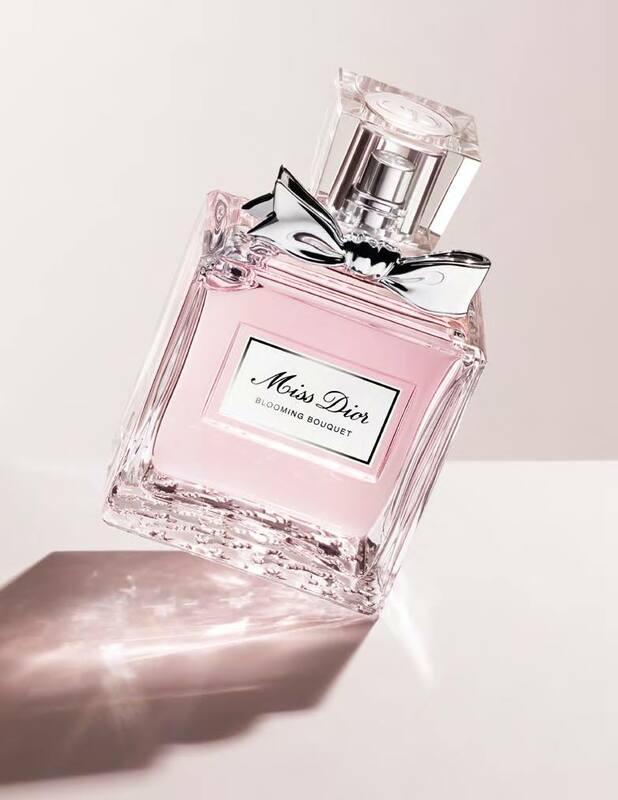 Miss Dior “Blooming Bouquet” is the newest addition to the iconic collection, that has been launched in early January and it pays tribute to Christian Dior’s admiration of flowers. What I really like about this modern and elegant fragrance is the mixture of freshness, sweetness, floral and fruity scents. Yet its lightness and subtleness make it a perfect scent for the spring/summer season. It simply reminds me that spring is about to arrive: flowers are blossoming, more people go for romantic walks in the park and are in general more enthusiastic about everything; All that thanks to warmer temperatures. That puts a big smile on my face also! ￼Blooming Bouquet embodies romance, effortless femininity, glamour and joie de vivre; the light pink color is marvelously chosen for that. 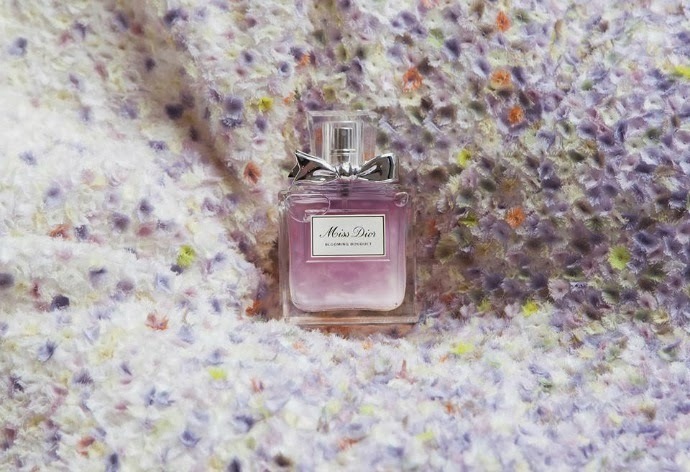 “Miss Dior Blooming Bouquet is a silky, honed perfume. Less of a direct sensual challenge rather like an aura. This is a sparkling, elegant and gentle perfume.” – Francois Demachy, Dior perfumer-designer. The composition is quite harmonious: Sicilian Mandarin Essence (top note), Peony/Damask Rose (heart note) combined with peach and apricot zest with a gently White Musk (base note). The bottle follows the shape of the previous perfumes, adorned with a silver bow. Additionally houndstooth was engraved inside the glass. 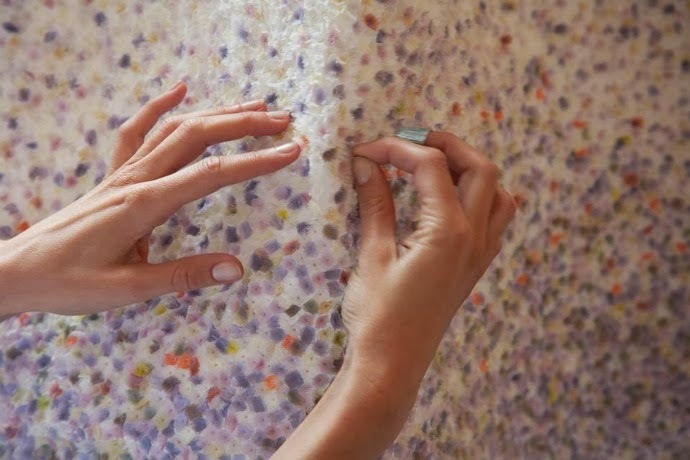 The new fragrance is described as a dress embroidered with thousands of tiny flowers. 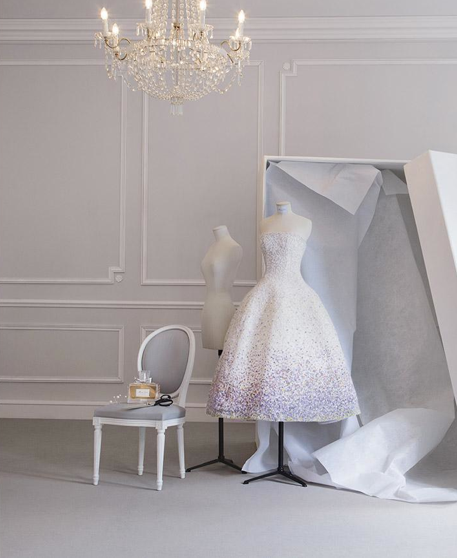 The beautiful Miss Dior Haute Couture Dress (worn by Natalie Portman), which you can see on the picture below, was designed by Raf Simons who took the inspiration from rompe l’œil line designed by Christian Dior for Spring/Summer 1949. In 1947 Christian Diors’ design team wanted to create a new line and unique silhouette. 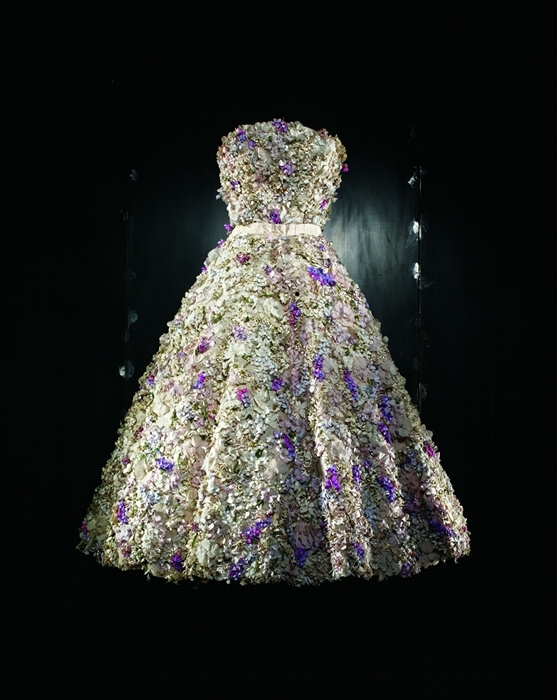 He was inspired by the success of his first perfume and hence decided to name the dress “Miss Dior”; a purely romantic dress looking as if it came from a fairy tale. Characteristics of the dress: a bustier top with a nipped waist, embroidered with thousands of soft-hued flowers – silhouette for a memorable evening that makes a woman look outstanding: graceful, sensual and charming. To put it simply, remarkably feminine. Dior brings back its Miss Dior ambassador Natalie Portman one more time, savvy chosen by the brand. To me, Natalie appears sophisticated, sensual and elegant. 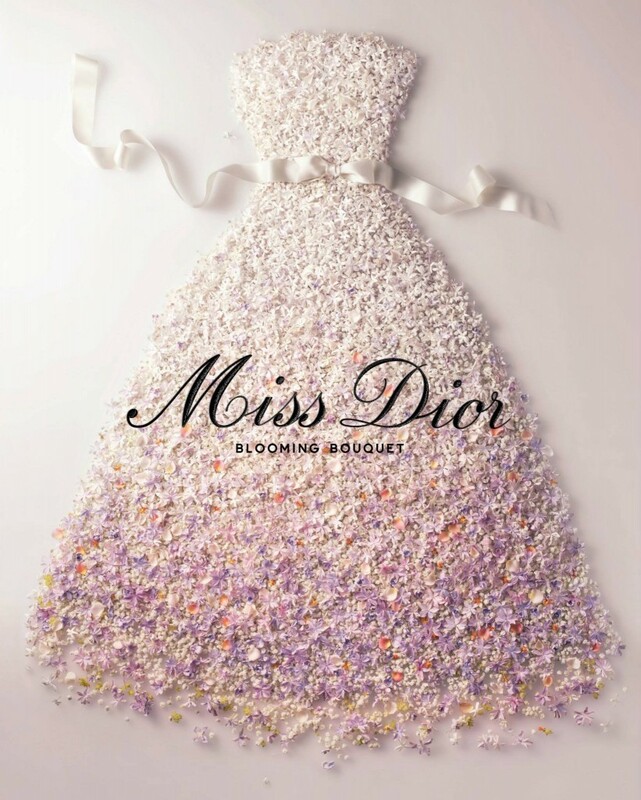 That makes her a perfect embodiment of the Miss Dior Blooming Bouquet fragrance spirit. Natalie simply has this timelessly beautiful look. 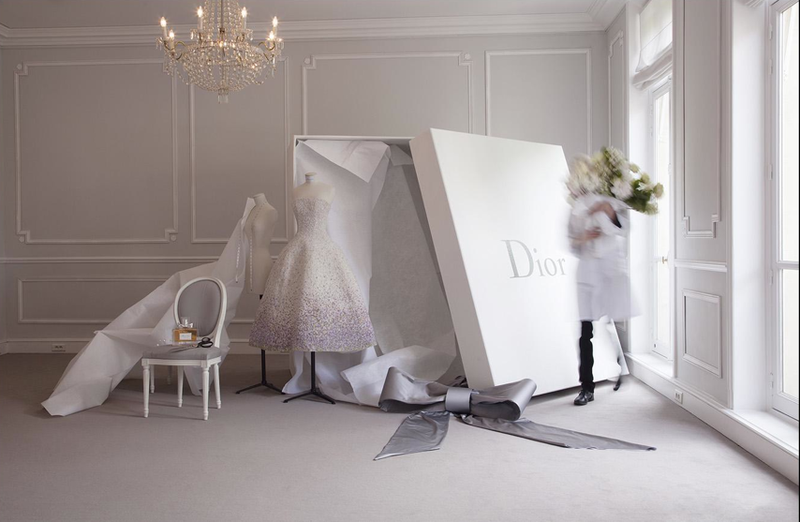 The campaign photos were shot by Tim Walker in a series of enchanting lady-like portraits in the Dior house at 30 Avenue Montaigne. The campaign video “La Vie En Rose” instead was directed by famous Sofia Coppola. A short, vivid video with music by Grace Jones.